Michael V. Schleisman is a shareholder at PFB Law. Mike represents clients in the areas of real estate law, mortgage banking services, mortgage foreclosure, business law, bankruptcy and civil litigation in the areas of real estate, business and banking. Mike is also a licensed title agent. 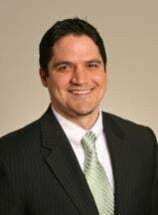 Mike earned his Bachelor of Arts degree in Political Science from the University of Minnesota and his Juris Doctor from William Mitchell College of Law. While at William Mitchell, he clerked at PFB Law, Professional Association and worked with Westlaw at Thomson Reuters. Mike was born in Minneapolis and grew up in the Chicago-land area. In his leisure time, Mike enjoys spending time with his wife, daughter, and dog and playing guitar.